If you go down to your local bookstore today, you probably won’t be at all surprised to see hundreds of Australian children’s books filling the shelves. The kids’ book market in Australia is booming, with literacy high on our education agenda and publishers keen to support a flourishing array of authors and illustrators. But it wasn’t always thus. 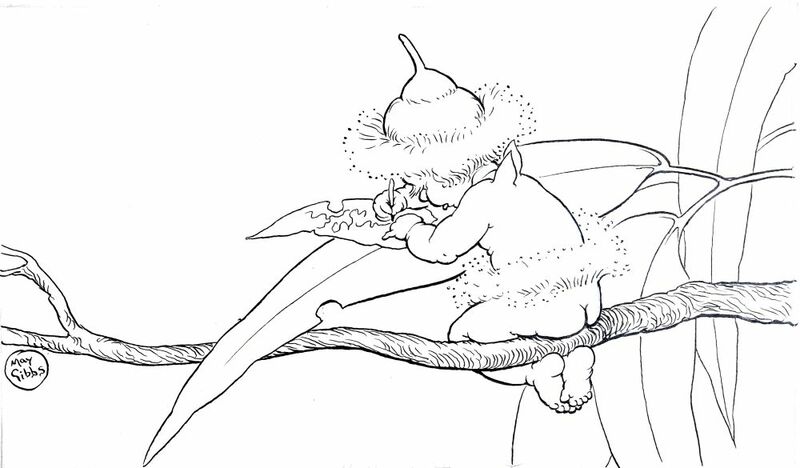 Writing for children is a relatively recent thing on the greater scale of literary history. Writing for AUSTRALIAN children is newer still, with Ethel Turner’s Seven Little Australians (1894) often cited as the first book written by an Australian, with actual Australian children in mind. A gradual growth in confidence amongst Australian storytellers, combined with the recognition of young readers as a distinct market, has seen Australian children’s books move from unusual to ubiquitous in the last 100-odd years. Let’s look at some of the highlights and turning points on the journey! 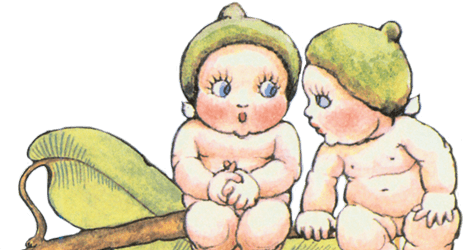 The very first books for children, in English, appeared around the late 17th century; precursors to the fairy tale tradition, these were moral stories with clear lessons to offer around social expectations or religious guidelines. As literacy improved and publishing developed during the 18th and 19th centuries, written storytelling broadened into something closer to the narratives we know today – exploring our social, emotional and historical worlds, for entertainment as much as moral guidance. At this time, Australia’s non-Indigenous population was still nestled in the bosom of Mother England. The literature read in Australia, for any age group, was largely written in the UK or Europe. Until the late 1800s, many Australians still felt ‘British’ and saw culture as something to be imported and imprinted on the ‘new’ country, rather than something blossoming right here. Around the turn of the century, a new breed of artists and writers began challenging tradition. Amidst the political undercurrent that would lead to federation in 1901, stories reflecting an Australian way of life, written by the first generations to have spent most of their life in Australia, began to emerge. Australia’s Indigenous people, of course, had a rich storytelling tradition, but it would be some time before these stories would be recognised by the wider population, or put in print for a general readership. Seven Little Australians was a bold story about bold children, in a time when Australian kids were mostly either struggling through the same books as their parents, or reading British adventures about Victorian children in tightly buttoned uniforms, with stiff upper lips. Turner locates her protagonists in a Sydney property named Misrule, and begins the story by saying “None of the seven is really good, for the excellent reason that Australian children never are.” This Australian classic has been continuously in print since its release, and is loved by readers around the world. Turner opened the door to a world of children’s writing where it was OK – even desirable! – for kids to climb trees, run barefoot on beaches and befriend kangaroos. Australia’s distinctive flora and fauna leapt off the pages, and would never again be pruned by the rules of British kids’ fiction. Turner would become a prolific writer, with over 30 books and countless short stories in her oeuvre. 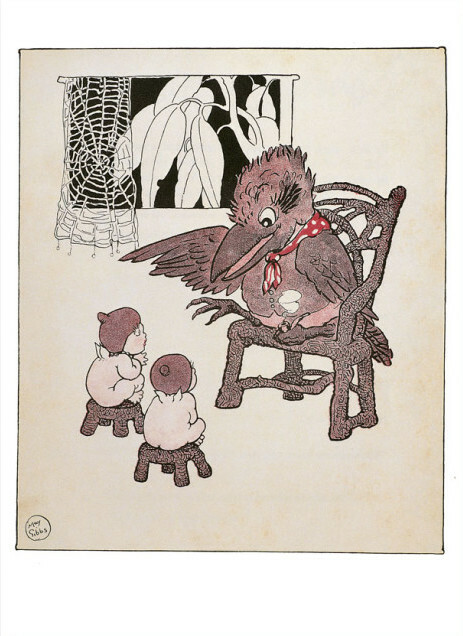 One of these – The Missing Button – was illustrated by Sydney artist and cartoonist May Gibbs in 1913. 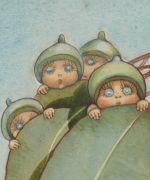 The characters she created for that work were called Gumnut Babies, and another significant step in the liberation of Australian children’s writing had arrived. 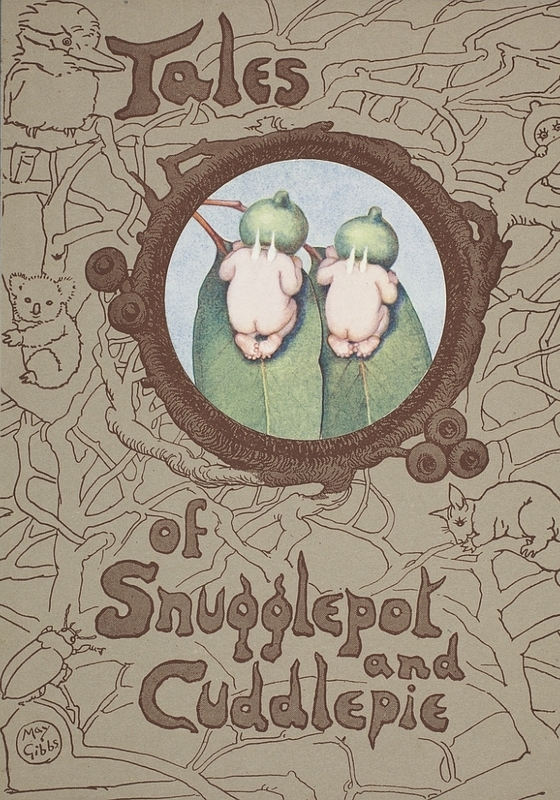 Gibbs’ most famous bush babies, the adorable Snugglepot and Cuddlepie, got their own book in 1918. 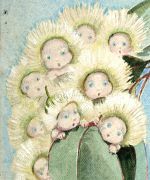 These characters were creatures of the Australian natural landscape; clothed in eucalyptus blossoms, with lizards as friends and ‘Banksia men’ as enemies. If Turner’s narratives had created space for a written Australian kids’ story, it was Gibbs’ iconic bush imagery that gave illustrators permission to bring Australian stories to life visually for young readers. With new creative ‘rules’ on the table, the early 1900s saw several great Australian children’s classics hit the bookshelves. 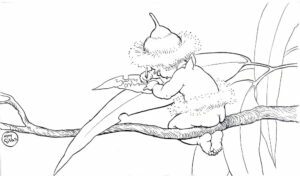 From Norman Lindsay’s eccentric The Magic Pudding (1918) to Jimmy Bancks’ Ginger Meggs (1921) and Dorothy Wall’s Blinky Bill (1933) Australians embraced local stories. These books at once reflected, and helped create, a recognisable, unifying Australian ‘identity’, largely based around cheeky, rebellious lead characters – signalling the ongoing pulling away from conservative British foundations. Publishing slowed down in Australia, as everywhere, across the war years, but 1945 saw the formation of the Children’s Book Council of Australia and wider recognition of kids’ books as educationally important, and financially viable, for local writers and publishers. This was an era of growth for school readers, literary magazines for teachers and librarians, and radio plays of children’s literature; which was where Ruth Park’s Muddle Headed Wombat first found an audience in 1951. By the 1960s and 70s, post-colonisation Australia had enough of a backstory to begin revising and reimagining itself. As Indigenous Australians struggled for recognition, kids’ books found gentle ways to explore issues around diversity and acceptance. Colin Thiele’s Storm Boy (1964), in which a young outsider befriends a local Aboriginal man, is a popular example. Children’s literature in this era looked to the past and envisioned the future, with time travel concepts becoming popular, like Parks’ Playing Beattie Bow (1980). Children were invited to explore their history and identity through fiction that revisited colonial or wartime stories with fresh eyes. International books – from the UK as well as the US and beyond – remained popular with young readers across the 20th century, but they were read as part of a smorgasbord, which included local delicacies, rather than being the only thing on the menu. From the 1980s, Australian children’s books began to keep step with global publishing trends. Book marketing came to understand young readers as a distinct market; kids were keen to collect books in series, by authors they knew were writing especially for them. Prolific former teacher Paul Jennings wowed young audiences with lively short story collections like Unreal (1985) and Uncanny (1988), drawing ‘non readers’ into a love of literature by playing in a welcoming space between novels and picture books. Morris Gleitzman, who co wrote with Jennings on occasion, is best known for the controversial Two Weeks With the Queen (1989), a book (and later stage play) that tackled cancer and AIDS through the eyes of a 12 year old boy. A trend towards ‘warts and all’ books for young readers would extend throughout the 1990s, creating much debate between parents, teachers and librarians. Sally Morgan’s My Place (1987) examined racial discrimination, whilst John Marsden’s So Much To Tell You (1987) tackled teen mental health. The fine line between ‘age appropriate’ fiction and helping kids make sense of their lives through stories would be contested again and again. Reflecting the key issues of the times, books for young readers in the 1980s/90s confronted broken families, multiculturalism, playground politics, Indigenous representation and environmental agendas. The ‘dystopian’ novel became a popular genre option for children; in Victor Kelleher’s Taronga (1986) animals rule the world, while in Gary Crew’s Strange Objects (1991), colonial history is revisited through magic realism. From books with a nationalist agenda, to stories reflecting the pain and pleasure of modern life, a walk along the Australian children’s fiction timeline provides great insight into changing social mores, political agendas and Australia’s position within world literature. Moving into the ‘online age’, many people foresaw a decline in interest in kids’ books – luckily that hasn’t happened quite as predicted. While the printing presses may have slowed down, children have not stopped enjoying a good story – and they now have many more ways to consume their bookish pleasures. Beautifully packaged picture books come with complementary online upsells; Peter Carnavas’ delightful Blue Whale Blues is imprinted with a QR code leading readers to a recording of the author reading (and singing) the words, for example. Subscription services like Storybox Library provide families with year-round online storytelling of exclusively Australian content, with popular authors, actors and comedians providing a nightly bedtime story. But the book itself is far from gone. International blockbusters like Harry Potter have ensured that reading is well and truly still ‘cool’, and children’s love of sharing and collecting extends to storybook trends. Australian writers and illustrators have responded by galvanizing into a dynamic industry, with conferences, festivals and workshops for teachers and librarians ensuring Australian fiction is more accessible than ever to our kids. Books are also marketed to kids through author school visits and bookstore meet-and-greets, where children can meet their favourite book creators and get inspired to read and write for themselves. If there’s a word that characterizes Australian children’s books in 2017, it’s probably ‘fun’. In the face of so many digital distractions, great writing gets cut through by appealing to kids on their own level. Stories can be educational, topical and downright absurd at the same time! Andy Griffiths and Terry Denton’s juggernaut Treehouse series exemplifies this trend. 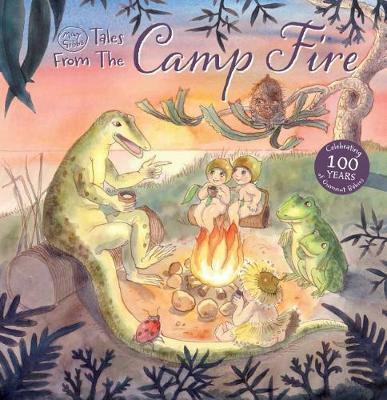 Selling over 300,000 copies of each installment (6 so far), the Treehouse books may well be the ‘Australian classic’ today’s kids remember most fondly. Set in a ridiculous treehouse that expands with each book to include such features as a marshmallow-firing cannon, a time machine, a bowling alley or a pool full of sharks, these deceptively silly books in fact shape an addictive love of reading and a passion for comic-style illustration – not so different really from the passions of early creatives like May Gibbs. Today’s young readers can embrace the best of all worlds, by reading reprinted classics like Snugglepot and Cuddlepie alongside a quirky Treehouse adventure. Whether they love to hold a book in their hands, or prefer to watch or listen online, our children are spoilt for choice when it comes to enjoying Australian stories.